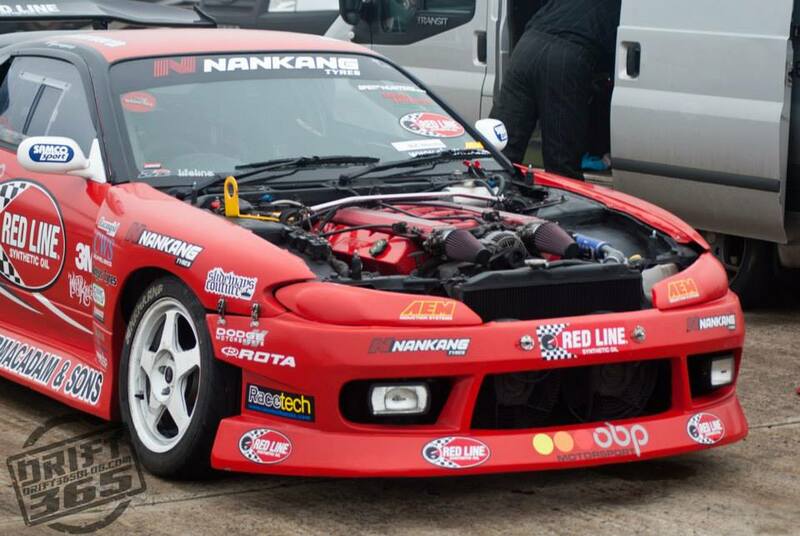 This seems to be a common venture for the Norfolk Arena Drift Team in some shape or form. From visiting local tracks to different race formats. 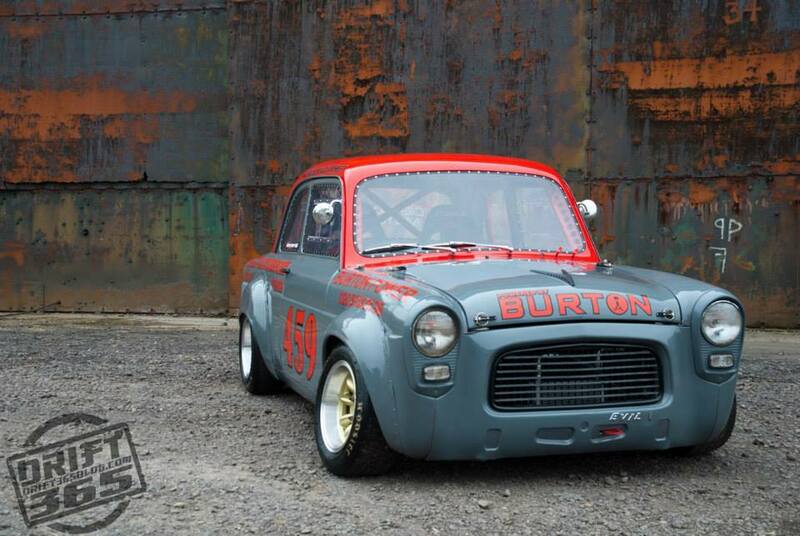 Whether it be in the now famous Ford Pop 100e or the Classic Modified Cortina. 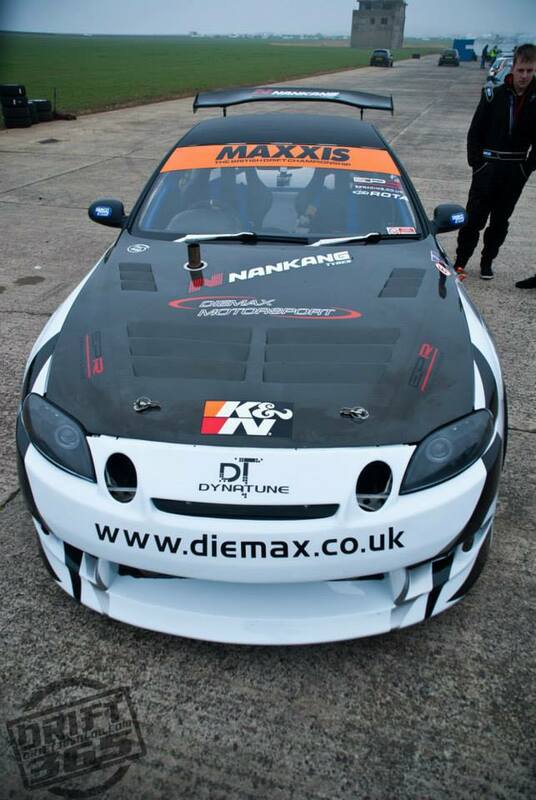 This time it was to demo the Pop and two fellow Drift Competitors at the famous Crail Raceway just south of Dundee. It was a misty Sunday morning in March that the team arrived on the decommissioned Royal Air Force base. It was truly an awesome sight. The base has a historical preservation order on it which prohibits the building or removal of any of the buildings or contents, even a hole requires a written confirmation. The decay of the buildings has just aged these hangers and barracks in such a beautiful way. The rust and wind ravaged paint has merged into patterns that gives them a unique character all of its own. The above picture of the Ford Pop 100e was captured in front of one of the hangers for a photoshoot the day before. The demos were performed in front of a crowd of fellow Ford drivers and owners from the surrounding Scottish cities, towns and villages all intent of displaying there pride and joy as well as putting in quarter mile times on the strip, for which Crail is famous for. Malcolm “Fozzy” Foskett, Steven Donnelly and David Waterworth all gave their time, tyres and fuel to the crowd and then finale was a cameo by Minnie on the scooter of doom.